I have a confession. I have an addiction to spelling and reading programs. I majored in linguistics in college, and I love to see how different programs teach children the intricacies of the English language. (I have a similar addiction to grammar curricula.) I was excited to learn about a new program from Demme Learning - Mr. Steve Demme of Math-U-See fame - called Spelling You See. 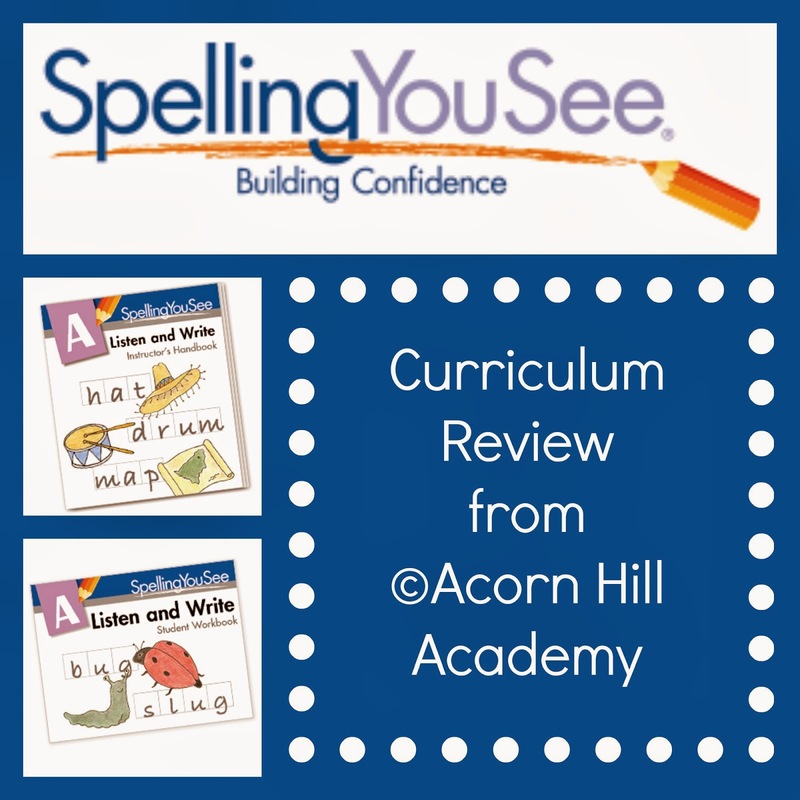 Isaac and I were privileged to review Spelling You See: Listen and Write (Level A), and we received copies of the Teacher's Manual and Student Pack, which includes the Student Workbook, the Guide to Handwriting, and the Listen and Write Sticker Pack. We worked on his pages several days per week. He liked being creative with his letters - you can see in the picture his large "s." "Look at my super big 's,' Mommy. Isn't it cool?" I know we're supposed to be working on perfection, but he makes me laugh with his "ideas." This is the first time he's shown willingness to do any "real school," so I was thrilled. This level has short lessons, which is perfect for him. Prior to starting the program, he knew all his letter sounds (consonants and short vowels) very well, but had not shown any interest in reading. Now that we've been using Spelling You See for a few weeks, he loves to show all the words he knows, writes them on things other than his school work, and is willing to read words here and there when we read books together. I will point at a word, and he will look at it and sound it out. He's so very proud of himself! 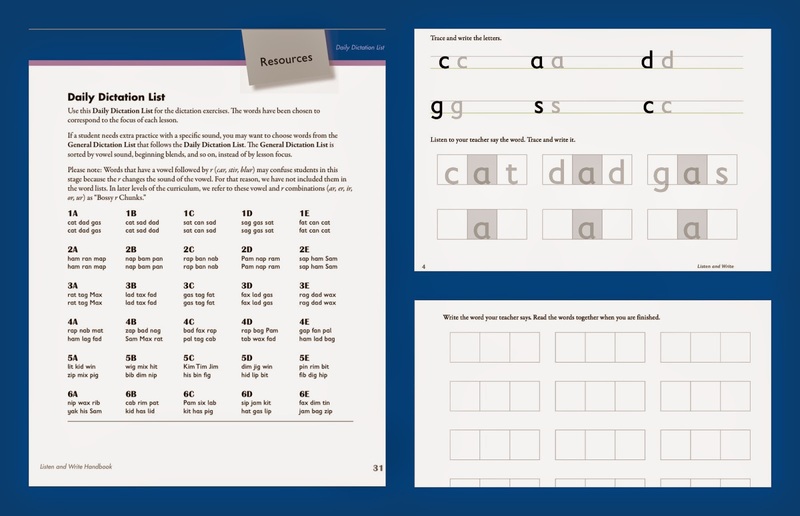 This program is a great complement to any phonics program. 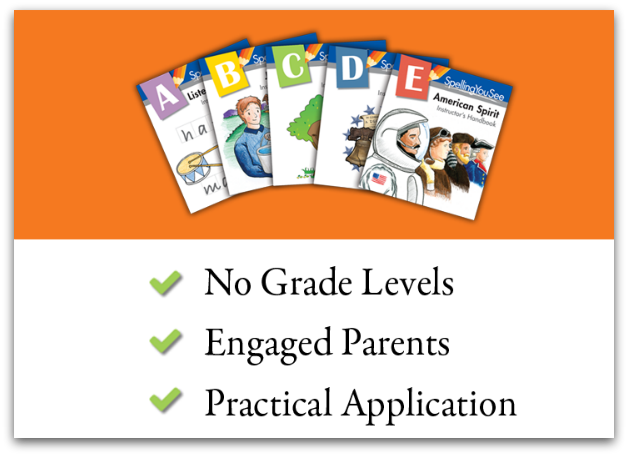 It incorporates beginning phonics skills, as well as handwriting, and introduces the concept of dictation. It's very close to what Isaac and I would be working on according to a Charlotte Mason philosophy of education: perfecting single letters and writing short words. There are 36 weekly lessons, with one page per day to complete. The first three weeks of Level A focus on on proper letter formation and consonant sounds. You can use the handwriting guide included with the program, or you can use your preferred handwriting style. The handwriting guide provides a continuous-stroke printing font that looks like a blend of modern and traditional printing. 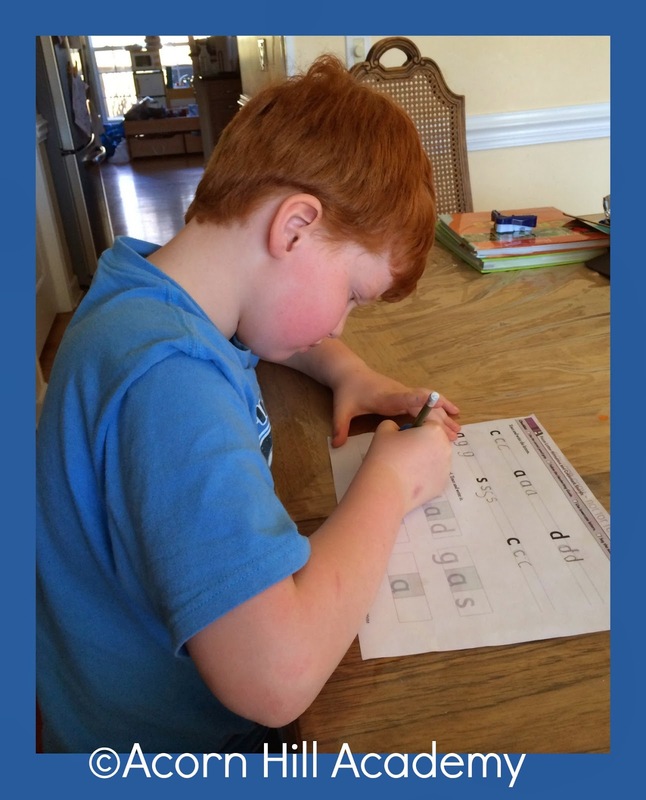 Level A goes through beginning blends, digraphs, end blends, and double consonant endings. With each new concept, the lessons start out with the square for the vowel shaded, but as they progress all squares are unshaded. Spelling You See has no grade levels, so you can start where your student needs to begin without worrying about them feeling "behind." It focuses on creating visual memory of words and how they are correctly spelled, which is a natural way of learning. It is an open-and-go program; you really don't need anything but the teacher's manual and student workbook. It does require teacher involvement, but we all do spelling together anyway (my older girls do studied dictation). Isaac loves to do things with me, so this was perfect for us. You can see sample pages for each level currently available at the links above, and read more about the Spelling You See philosophy as well as how to get started on their website. Two more levels are in the works, too: Level F: Ancient Achievements and Level G: Modern Milestones. If you're looking for a spelling curriculum, this might be it! Connect with Spelling You See on Facebook and Twitter!